Building on his belief that exciting times lie ahead for the cabin interior lighting industry, Mr Duncan will explore how affordable, easily installed, after-market ambient lighting solutions can deliver not only maximum impact on a budget but also disrupt the refurbishment timeline. Following a philosophy of ‘less can be more’, his presentation will examine why a creative, research-based approach to lighting design can trump major spends on interior fit outs. The Cabin Refurbishment and Repair Conference has been designed to deliver key insights through a programme of presentations covering all aspects of upgrading cabin interiors. 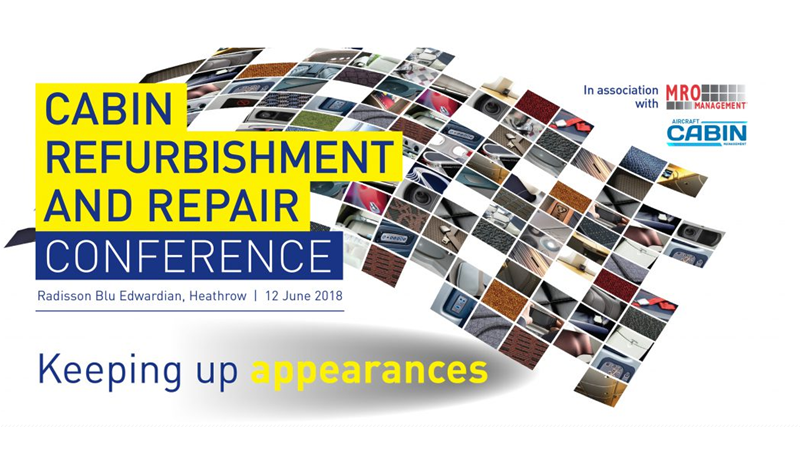 Hosted by Ian Harbison, Editor of MRO Management and Aircraft Cabin Management, the conference will provide delegates with access to expert speakers representing airlines, equipment suppliers and MROs.